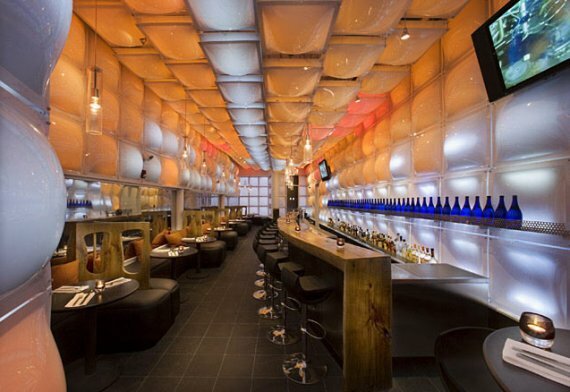 The Diva Lounge is located in the Boston, Massachusetts suburb of Somerville. 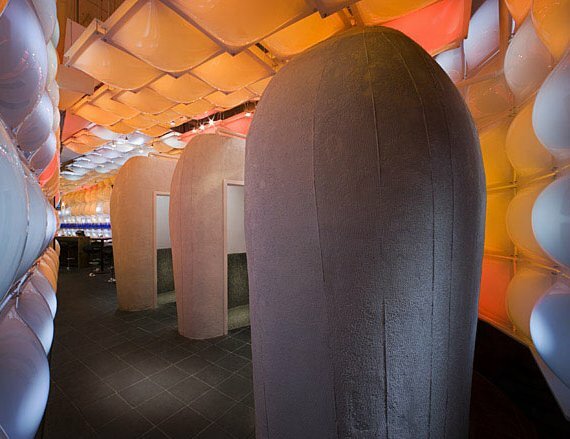 The Diva Lounge is conceived as a sensual escape from the stress of urban life. 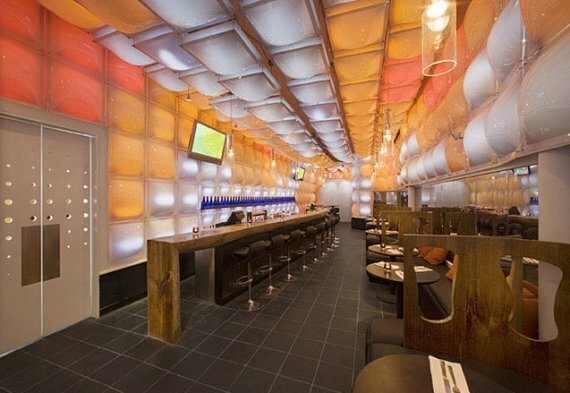 The walls and ceiling are a cloudlike display of light and form, created using energy efficient LED lighting. Features include custom lounge seating, where patrons literally rub shoulders, and eclectic log bar and bathroom pods that act as mysterious sculptural elements. 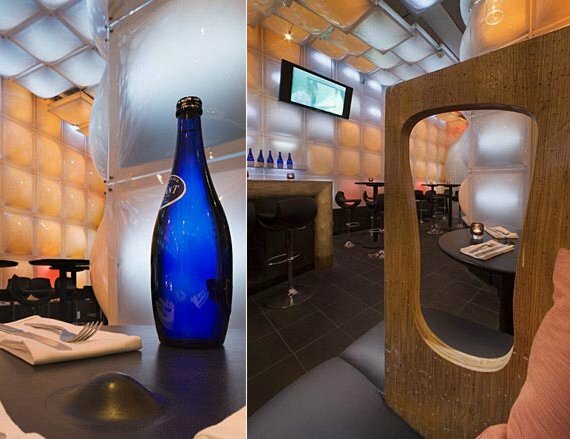 The space flirts with its users and in doing so amplifies the essence of a lounge experience. Visit the website of Studio Luz Architects – here.